Car Detailing Vaughan offers the ultimate in convenient interior and exterior detailing for large cars and SUVs. With our 100% mobile SUV detailing service you’ll save time and get the benefits of expert car maintenance around your schedule and at your convenience! Mobile means we’re able to bring the service to your home or business to better suit your needs. Equipment, electricity and water are all supplied right from our specialty vehicles! Reduce Scratches and Swirls: Attempting large car detailing on your own or allowing an amateur to do the job often results in inferior results and potentially even making scratches and swirls worse. 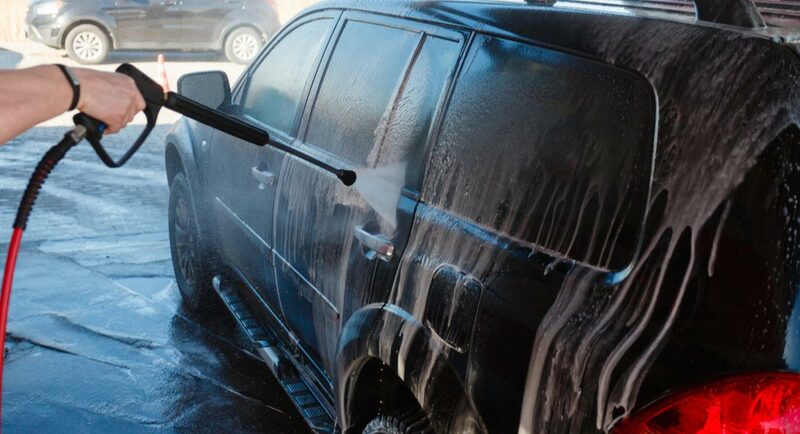 Untrained detailers without the proper equipment can sometimes use products and scrubbers that are too harsh for your car’s surfaceAt Car Detailing Shop we use only the best in soft microfiber cloths for SUV detailing. Our specially designed cloth and products allow us to treat your car gently and minimize the appearance of swirl marks and small scratches. Catch Problems Early: Car Detailing Shop offers a wide range of large car detailing options including engine detailing. When we take our expert detailing services under the hood, we can identify small issues such as fraying, weakened or loose parts before they become worse. This can help prevent you from having a breakdown while on the road. Smoother Ride:One of the most important parts of our large car detailing is our wheel cleaning. When we hand detail your wheels we not only make them look better but can help increase traction for safety and remove debris for a smoother ride overall. Superior Driving Experience:While we may love our old cars, few things beat the experience of driving a new car. With our intensive interior and exterior detailing, we can restore your car to showroom quality. From reconditioning the interior fabrics to detailing windows and small rubber and plastic parts, our SUV detailing brings your car back to like new condition. With our 100% mobile service you can easily schedule your interior and exterior detailing around your schedule. Whether your need a quick interior ‘Shampoo Package’ on your lunch break or an intensive ‘New Car Package,’ we can bring our equipment and technicians to your home or business for the ultimate in convenience. Starting as early as 7 a.m. we can easily work around your personal or business hours to minimize inconvenience. 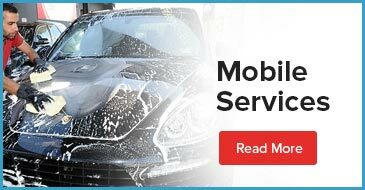 Car Detailing Shop makes booking your large car or SUV detailing easy with our online form or by calling us at 647-920-5199.